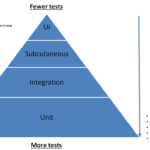 There exist many kind of test: unit tests, integration tests , acceptance test, …, UI tests. For this tutorial, we will be interested on UI tests, indeed this kind of test, allows us to validate the IHM by launching the browser, clicking on elements and verify the result. 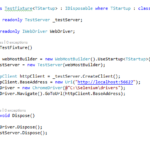 In this tutorial, I will not show how to write Selenium tests in details but I will focus on browser automation in order to execution of UI tests on a build environnement. Here I pull microsoft/aspnetcore:2.0-nanoserver-1709 as base image. and I expose port 80 inside my container. 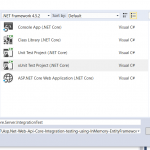 Here I say that the ASPNETCORE_ENVIRONMENT is Docker so dotnetcore will use appsettings.Docker.json file. I expose port 8080 oustside the container and 80 inside the container. I also overrides db service and expose port 1433 inside and outside the container. as you can see, I setup database from docker using a sql docker file and use it in docker-compose file. 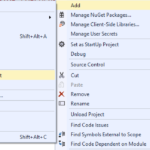 It is also possible to setup the database at runtime using c# code, this two ways are equivalent due to immutabilty of the container, this means when the container is stopped then the data is gone. run the docker-compose build command. and run the docker-compose up command. So if I have to use these build steps in build environment, I don’t need to automate docker-compose build and docker-compose up localy.